ROBERT E. RICKLEFS is Curators' Professor of Biology at the University of Missouri–St. Louis, where he has been a member of the faculty since 1995. His teaching at Missouri, and previously at the University of Pennsylvania, has included courses in introductory and advanced ecology, biogeography, evolution, and biological statistics. Bob’s research has addressed a broad range of topics in ecology and evolutionary biology, from the adaptive significance of life-history traits of birds, to island biogeography and the community relationships of birds, herbivorous insects, and forest trees. 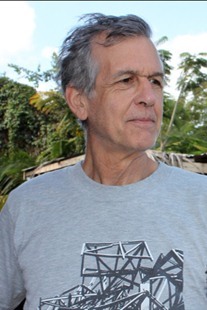 In particular, he has championed the importance of recognizing the impact of large-scale processes on local ecological assemblages of species. Bob has published in numerous journals including Science, Nature, PNAS, Evolution, Ecology, Ecology Letters, and the American Naturalist. His contributions have been recognized by honorary doctorates from the Université Catholique de Louvain (Belgium), Aarhus University (Denmark), and the University of Burgundy (France). He is a member of the American Academy of Arts and Sciences and the National Academy of Sciences of the United States. Bob published the first edition of The Economy of Nature in 1976 and was joined by Rick Relyea with the seventh edition.